We don’t realize just how much time we spend negotiating. If you ask most people, they would say that only the situations in which they conclude deals or resolve disputes involve negotiations. However, negotiation is so much more than that. It starts the second you’re introduced and continues during endless calls, emails and meetings. Even the informal discussions in the hallway are part of the negotiating process. As soon as I realized this was the case, I started to be much more aware of my behaviour and understood that in order to become a better lawyer, I needed to invest in my negotiation skills. In order to close deals easier or resolve disputes better, you need to understand the game of negotiation. 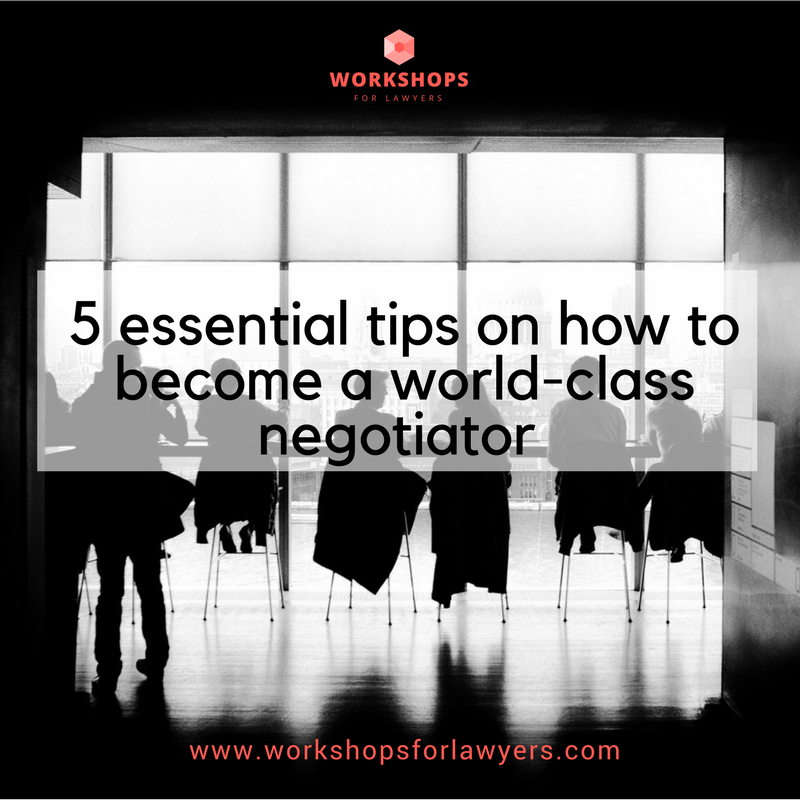 Do you want to learn how to be a world-class negotiator? Read on for our 5 essential tips on how to become better at negotiating. As per the bookish definition, negotiation is the process through which two parties have a dialogue in order to reach an agreement that is beneficial to both of them. However, when it comes to reality, one of those parties could be you. And when you are personally involved, obviously you would like the outcome of the negotiation to be in your favor or at least not to be in your disadvantage. But you know very well that the other will be thinking exactly the same. If this would not be the case, the process of negotiation would be very simple and we would not feel the need to learn how to become better negotiators. Negotiation is central to lawyering, as lawyers play a critical role in many negotiations. Because of their skills and experience, lawyers can help construct fair deals or resolve harsh disputes. However, they can also cause considerable harm and run up substantial costs. The motives or excuses for “bad” negotiations are numerous: “the legal system does not allow it”; “it is in the culture of the law firms”; the rewards of playing hardball, expectations of clients. However, the cost of doing so can blow up deals and, even more importantly, relationships. By default, we are led to believe that negotiating should be an "aggressive" tactic where you should act as a pit bull. However, coming off too aggressive will typically result in the opposite, effectively closing the door on future negotiations. Too often, we get stuck in what we call a “black or white” struggle about who has the best solution to a deal or dispute. And most of the times, we would then reach a “grey” compromise to make sure that all people involved are somehow satisfied with the outcome. This negotiation strategy is also known as the process of haggling. It is striking that although negotiation is one of the few processes which is used in every profession and throughout the entire organization, it is often not taught at school or work and the negotiation strategy is most of the time completely decided upon case by case. Being able to negotiate effectively is a key skill for any lawyer. So how do you become a better negotiator? Negotiation is more than a mathematical exercise. It is a process for which you need to develop certain skills: you need to listen and understand, you need to talk and feel, you need empathy and assertiveness, you need to be creative and open-minded. The question is not if but how you can become significantly better at this core-life-skill called “negotiating”. The good news is that everyone can learn to become a better negotiator. Over 30 % of your time should be going to preparing for your negotiation. It is a cliché, but if you fail to prepare, you prepare to fail. The problem in most negotiations is not faulty preparation but no preparation at all! So, take the time to make a list of each of the underlying issues related to your deal or dispute; of all the things which are important to you and to the other party. By doing this, you will have a better perspective on the possible solutions which might be agreed upon in the end. An important life lesson is never assume before you ask. The key to learn during negotiations is simply asking questions. Every negotiation should start with a question, which expands into a dialogue. Communication is crucial to the success of a negotiation. In doing so, use clear and confident language to deliver your ‘ask’. Also, be specific and go into details. Avoid vague phrases that undermine your negotiating position and would end up in an immediate compromise. Of course, it’s not all about asking. It’s about listening and understanding too. Most people love to hear themselves talk and forget that they would get more out of the deal by listening to the information the other is giving. It is easier to influence others when you show them you are actually listening to what they are saying. Talk less, ask questions and listen more. Should you be making the first offer or should the other make the first offer? Most people think that you should let the other offer first. · When the other makes the first offer, he provides you valuable information on what he wants. · When you make the first offer on the other hand, you take control and negotiate on your terms. My advice, under the assumption that you have sufficient information and arguments to substantiate, is make the first offer! The primary benefit of making the first offer is that you establish an anchor or a reference point. The other party will gravitate towards that reference point and it will influence its counteroffer. Just think about it, when you have to guess the selling price of a house, the second and third guess will always circle around the first guess. If you are stuck while negotiating, the best thing to do is to start brainstorming with each other. While this sounds like a logical option, it’s hardly ever put to practice during real-life negotiations. We tend to think of negotiation as a process where we evaluate multiple options, and eventually decide on the best one and reach an agreement. However, research shows that we usually fail to consider more than one option. We look at a proposal or an offer and decide whether we say yes or no thereto. Our brain does not consider the fact that other options could also be looked into, which drives us once again to the process of haggling. I know that the concept to generate multiple options in a negotiation is very well-known. However, the knowledge of understanding how little we are actually doing this should be in the back of your mind in every negotiation you are participating. You may know that you should be brainstorming and generating multiple options before getting stuck on one. So, force yourself to create a space during the negotiation to brainstorm with each other. The process of negotiation requires a logical, analytical and mathematical approach but also intuitive, thoughtful and creative thinking. You need to constantly switch from the rational process of the negotiation itself to the unpredictable human beings participating in the negotiation. You need to be aware that everyone steps to the table with their personal agenda, their assumptions, their baggage. Even you. So, you need to be alert all the time. When you are participating in a negotiation as a lawyer, you are often under a lot of pressure. It is exactly at those tense moments of stress that you will fall back to your instinctive irrational reactions. You need to be able to recognize your own instinctive reactions which drive you. And you need to make sure that these reactions do not rule your decision-making process. And the same goes for the one on the other side of the table. You need to recognize when the other party’s buttons are pushed and not allow those reactions to dominate the outcome of the negotiation. Becoming a world-class negotiator doesn't happen overnight. Being a great legal expert in and of itself is no longer enough. As clients are getting increasingly demanding, lawyers must invest in developing their professional skills, such as negotiation skills. 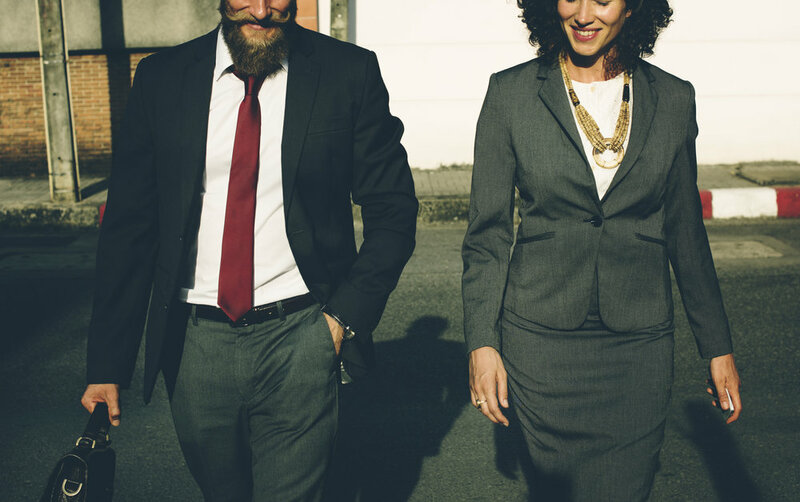 Negotiating, when done correctly, can help you progress faster, close deals easier, resolve disputes better, all of which eventually leads to happy clients. It is important to remember that becoming a world-class negotiator does not happen overnight. It takes practice, and lots of it too. That’s where we come in. 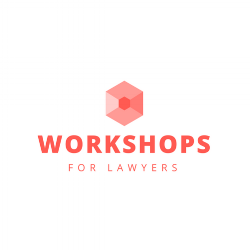 Workshop for Lawyers offers negotiation workshops to suit the needs and requirements of any modern-day lawyer. During our interactive training, you will learn techniques and strategies to negotiate more efficiently. You will receive a practical one-page toolkit which you can use before, during and after every negotiation, a clear understanding of the negotiation process and its timeline and insight into your negotiation type and that of the other party. Ask us about our negotiation workshops! Stephanie Blommaert is a former transactional lawyer who loves to communicate and negotiate. She spent almost 10 years as a lawyer in international law firms at the Brussels bar before starting her own consultancy company nonzerosum. Because of her experience as a lawyer, she has an in-depth understanding of the importance of negotiation skills in the legal industry. Stephanie teaches in English and Dutch.